It’s only September, and most people don’t want to think about Christmas just yet. But with calendars filling up with social events and year-end parties, 13 weeks will fly by in the blink of an eye. And if you do your shopping early (and online), you can get a head-start and turn the silly season into the stress-free season. The elves are hard at work getting our new range of festive hampers ready, all beautifully packaged and brimming with treats. It’s the perfect gift for families, co-workers, or that person who has “everything”. Something else to look forward to is a new range of table linen arriving soon. 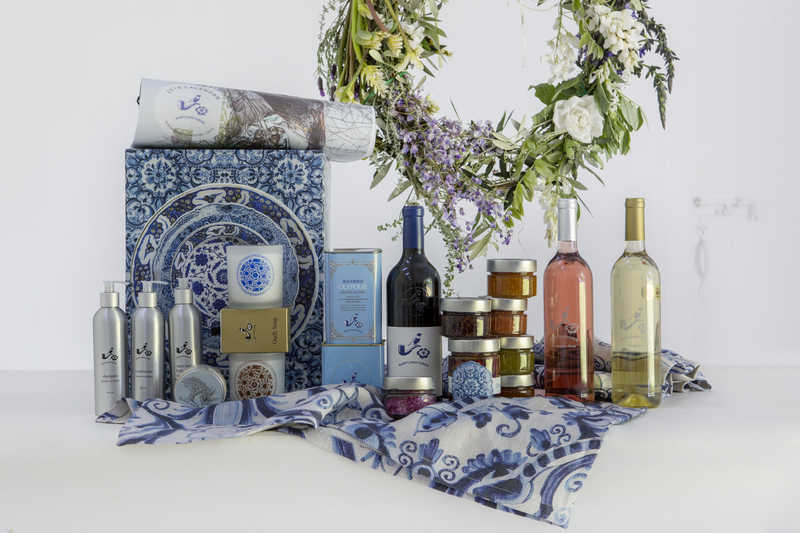 This year we also offer businesses the opportunity to spoil their clients or colleagues with something truly memorable – joy-giving goods from our farm. The handpicked items in the Babylonstoren online shop is produced as a labour of love, nurtured by skilled hands and brought to life by the thoughtful selection of materials and ingredients. Our corporate gifting orders are already coming in. So, if you are considering working with us, we would recommend getting in touch soon. We offer a range of gifts sets, or you can talk to us about customising your own unique combination of items. Please get in touch with Tandi at tandi@babylonstoren.com for more information.